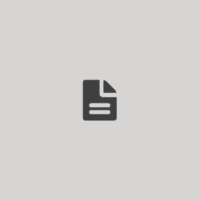 Schoolchildren from Makeevka and Khartsyzsk received humanitarian aid from children in Vologda, Chelyabinsk, Vladivostok, and Nizhny Novgorod, a correspondent of the Rossa Primavera News Agency reports. 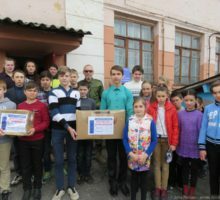 The students of 3 schools in Makeevka received humanitarian aid from the schoolchildren in Vologda, Chelyabinsk, and Vladivostok, a Rossa Primavera reporter informed on March 27th. 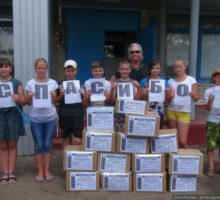 Children from Sosnovoborsk school № 2, Russia, sent aid gathered as a part of the project “Children of Russia to Children of Donbass” to high school № 12 in Beloskelevatoye village of Krasnodon region of Lugansk People’s Republic. The boxes contained paper, notebooks, writing accessories, as well as groats, macaroni, chocolate and candy. This summer activists of All-Russian Parents’ Resistance and Essence of Time delivered humanitarian aid to “Barvinok” nursery in Khryashevatoye village of Lugansk People’s Republic. The boxes contained food products, books, albums, paper, pencils. All of this aid was gathered in the kindergarten of Kamarchaga village in Krasnoyarsk region of Russia.